"Live Free or Die," and here it looks like it even extends to letting dogs drive. 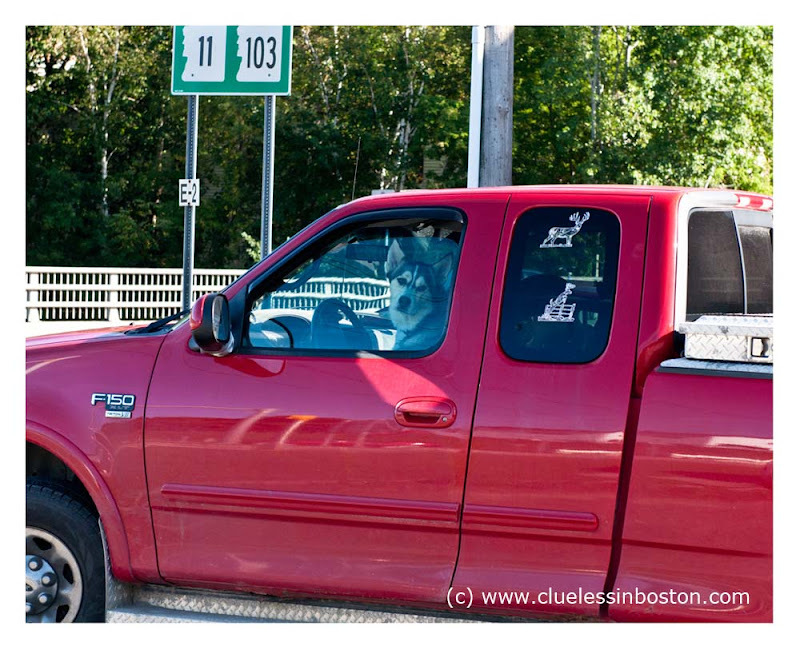 Actually, this great looking pup was waiting for its master to return and was sitting in the driver's seat. I'm sure you know that your title is also the title of a famous french song?.. I like the way the dog is looking at you! the pup does look way under 16. He's looking at you as if he's thinking 'What already!!' Love it. He's got his eye on you! I'm always a sucker for a dog in a car/truck. So funny. I hope he does not drink alco before driving. Great capture! Wonderful and fun! Ah, the dogs can drive! That helps to explain New Hampshire drivers! More importantly - does he have a driver's license?